The Mansions & Millennials Home Collection is for those who think differently, whether you dream of the freedom of a micro home, the supportive community of a pocket neighborhood, or the privacy of a luxury estate. 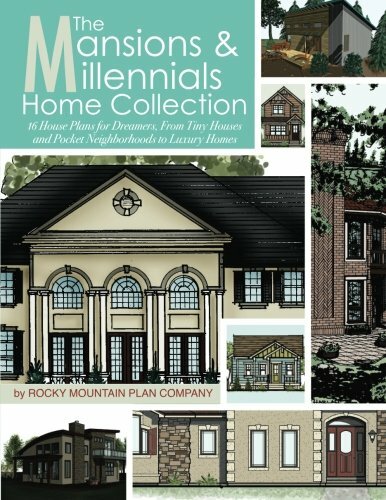 In this beautifully illustrated plan book, the award-winning residential designers of the Rocky Mountain Plan Company bring 16 plans to meet a wide range of lifestyles and priorities. This collection is part plan book, part idea book, with plenty of inspiration to fuel how you want your home to complete your lifestyle.